I’ve always had a fascination with this amazing part of our planet, as many other people around the world do. I do have personal experience in the Amazon, and ever since my first trip there, I’ve been thinking of going back to do a journey of a lifetime. Will you carry everything you need? Yes. I’m planning to carry everything in a giant Osprey backpack, half the size of my own body. Some spare kit will be stored in a few places along the route. And I’ll rely on local shopping or collecting options for food as I go. What does your backpack contain? My 105 litre Osprey Backpack contains everything I will need for surviving in the jungle, and other compact kit including my Hennessy hammock and sleeping gear. A provisional list includes a GPS unit, maps, compass, satellite phone, cooking pots, a comprehensive medical kit including anti-malarial drugs, a head torch, fire lighting kit, fishing gear, pack raft, extra set of clothes, compact video camera, still camera, tablet computer, other smaller items, and enough food supplies for about 10 or more days. I’ve tried to keep the weight to a minimum, a full kit list will be published near the finish of the trek, for those interested. Has any other person done this before? I’m not 100% sure, but as far as I know nobody has has been crazy enough to attempt to traverse the whole Amazon from east to west, sea to source before by any means. In 1637, Pedro Teixeira with a native crew of 1200 people canoed up the Amazon and Nepo river to Quito in Ecuador. Someone has walked from source to sea and others have traversed the river source to sea via other methods. Are you raising money for charity? I hope to add some purpose to the challenge by supporting a few relevant charities. Their information can be found on this page. At the present time, no I don’t have any, but if any companies or persons want to consider sponsorship or support you can do so here. Where did you get the money to do this? I sold my home and all its contents. The equity will not be enough to get me to the finish line, so I’m still trying to get more funding through sponsorship and donations. What potential dangers concern you most about the trek? Running out of coffee for my morning brew! But really, there are a multitude of things that could be problematic, check out the Challenge page here. Life is fragile and full of obstacles wherever you are on this planet. I’d like to use my time to do and see something amazing. Will you have guides walking with you? Yes, as long as I can afford it. Local guides will be a necessary source of knowledge of the local area and a mediator for indigenous tribes and villages. Also it will help them with a bit of income and give me some security and company. How far will you walk each day and how long will it take? Well I know how far I would like to walk a day, but the terrain is going to be so varied that it’s difficult to say. On an average I’d be pleased to walk 10 Kilometres or more per day. If I manage to complete the whole journey in one go then it could take up to 36 months. Have you been in the rainforest or at high altitude before? I have been in the Brazilian Amazon rainforest before, when I joined Ed Stafford and Gadiel Sanchez Revira ( Cho ) for several weeks on their remarkable Walking the Amazon expedition. I have also been in the Peruvian Amazon on a short Jungle training trip. Read blog here. I have not been at high altitude before, unless flying in a jet at an altitude of 35,000 ft counts! so this will be a new experience for me. Can you speak Brazilian Portuguese? Enough to just get by, I hope. I have been learning from an audio programme whilst driving to and from work this past 18 months but I expect to vastly improve my language skills during the trek. I haven’t had time to learn Spanish, so this may be a problem once I cross into Peru, but it’s similar to Portuguese so I’m hoping again to learn as I travel. What will you do for food and water? I don’t think lack of water will be a problem. It depends on how far inland I need to go to avoid the deeper annual flooded forest. I will source water mainly from rivers, also I plan to fix a rain catcher to my hammock fly sheet. Then I’ll purify it with water purification tablets or iodine drops or by boiling it. Food will be from many different sources. I’ll stock up on carbs like Yucca (Cassava) and rice when I come to local towns and villages, but I will also do some fishing. Do you have an educational section on the website? Yes, but it’s limited, as I made the pages myself ( with a little help from Wikipedia! ) I did approach a company that partners up to schools and adds educational content and links but they understandably needed money that I simply didn’t have! See my learning rescorces link on the home page. What is your opinion on deforestation and other environmental issues of the Amazon? I care about the future of the planet. I think and hope most people also do. A lot of the problems are caused by the demand of raw materials from the developed nations of the world who by now should know better than to buy a products from unsustainable, unethical, or illegal sources. I believe sustainable development is possible in the future with up and coming young innovative and well educated minds, global awareness, mass communication, space flight, and an ever growing concern for the health of the planet. You say you’ll walk the whole way. 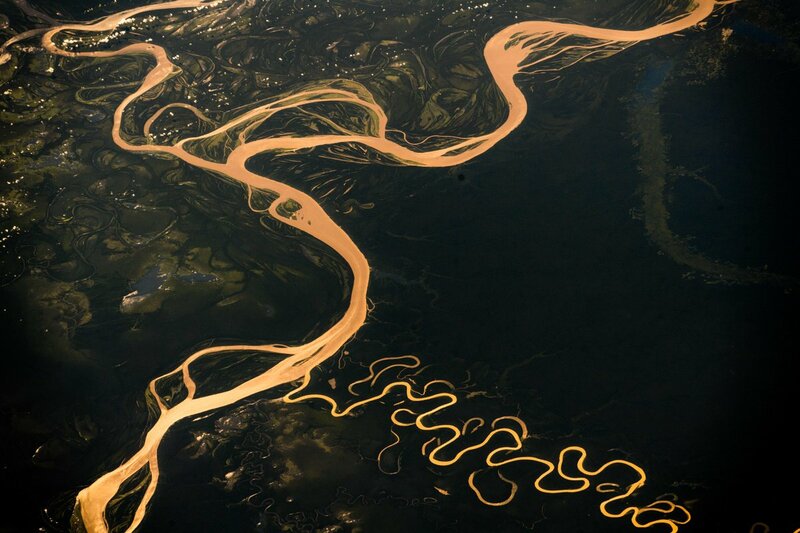 Some of the tributaries (rivers) are enormous. How will you cross bodies of water where you cannot walk? I plan to swim across as many as possible so I am effectively propelling myself forward purely by own body. I will have a pack raft for evacuation, re-supplying, fishing, and other tasks outside of the actual walk. On some of the bigger rivers (as wide as 7km!) I will have a boat escorting me as I swim, If this proves totally impossible then would have to use the pacraft. Aren’t you afraid of what dangerous animals are in the water? 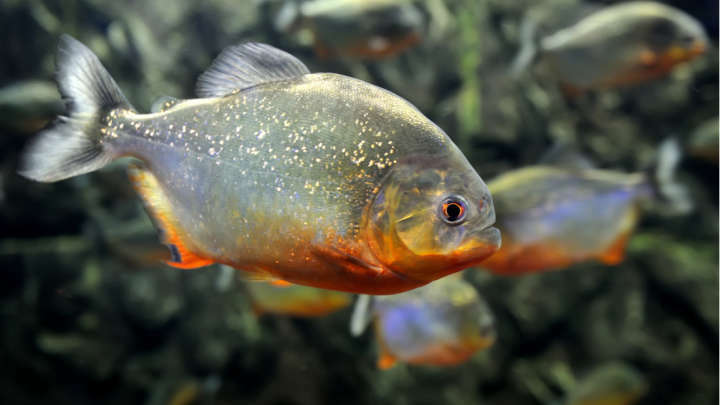 Many of the locals swim in the rivers with no problem during the daylight hours. I am nervous about doing this, especially when the colour of the water is brown and it’s hard to see what lies beneath. And i do have a fear of deep water. I’m expecting a few sleepless nights in my hammock with that Piraña scene from a certain James Bond movie going through my mind. Each time I consider getting in the water, I will use the best judgement of locals and limit my risk in that way. But I am looking forward to the challenge. And I think I’m at at least as much risk travelling on the M25 motorway in the UK for a lifetime. How will you keep in touch along the way? 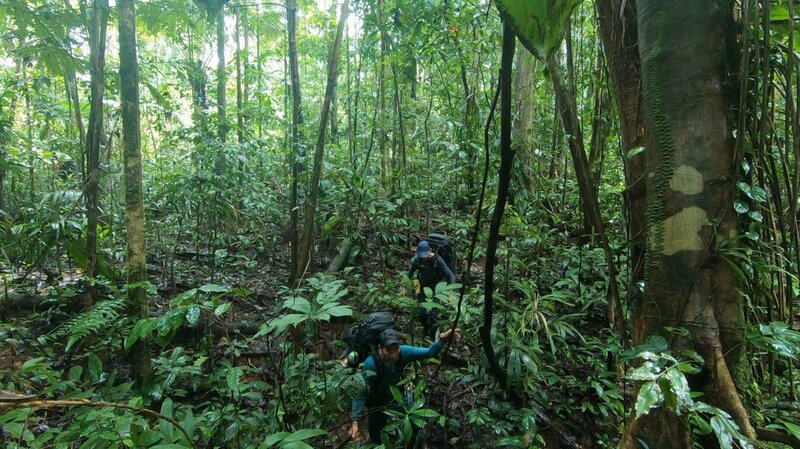 I hope to be carrying a satellite phone and satellite internet device across the whole of the Amazon to stay connected. With modern technology there is a fantastic opportunity to connect the people around the world. I will use this to send out updates on social media. I can also make phone calls to family, friends and sponsors. Do you have a family in the UK? No, unfortunately I don’t have a family of my own, another excuse (or opportunity) to take on this gigantic trek. I haven’t yet ruled out the possibility of eventually doing so. I want to cross South America East to West, on foot, from the Atlantic coast in Brazil to the Pacific coast in Peru, following the Amazon river from SEA to SOURCE. Primarily for the sheer adventure and personal challenge. I want to raise more awareness of the global importance of this incredible ecosystem, and also the fact that as far as I am aware no other person has traversed the whole Amazon river from the Atlantic to its official source before by any means. Im not quite sure about this seemingly impossible task I’ve set for myself, but I want to do it unsupported and carrying all required kit in a backpack. 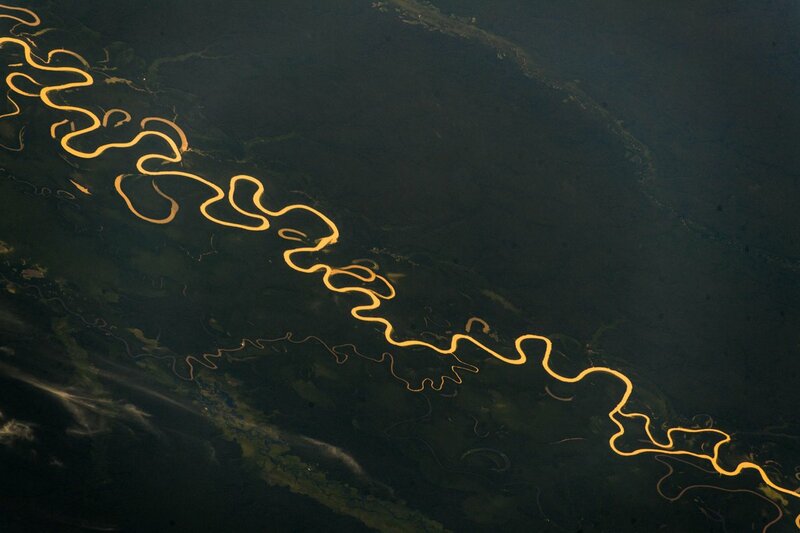 My plan is to truly traverse the whole Amazon and propel myself forward using nothing other than my own body which entails swimming rivers and tributaries some over 8 kilometres wide, some fast moving and dangerous and some tidal. But i may have to resort to using the pac-raft if this proves to be totally impossible. I will hire local guides and purchase food and supplies from communities and towns I pass through. I hope also to learn more about this amazing part of our planet and share my experience on this website, I would like to improve my Portuguese and hope learn to converse in Spanish also. I want to test myself in this engaging and dramatic place, because I want to know if I can get myself across one of the most vast and bio diverse landscapes on Earth.